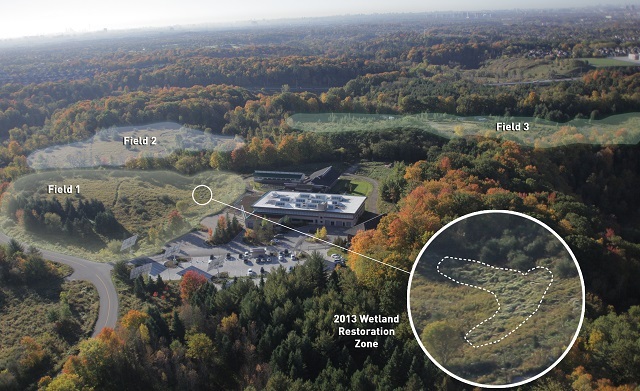 As a highly efficient green building, the Earth Rangers Centre (ERC), located on the grounds of the Kortright Conservation area, is committed to integrating our sustainability mindset into the adjacent habitat. When we first began to look at the habitat surrounding Earth Rangers almost three years ago, we discovered that 90% of the plants near our ecologically aware facility were invasive species. The overall goal of Project iRestore is to improve regional native biodiversity and ecosystem health. In 2011 our Science Advisor, Dr. Scott Tarof, surveyed three old meadow fields (33 acres) surrounding the ERC. What he found was startling. About 90% of the flowering plants were invasive (e.g., garlic mustard, purple cow vetch) or native but dominant colonizing species (e.g., Canada goldenrod, Canada thistle). These plant types can have a negative impact on plant and animal diversity because they dominate the landscape by growing quickly, restricting the growth of other native species. To address these issues we implemented a conservation action plan called Project iRestore to return these fields to more native habitats: tallgrass prairie (18 acres), deciduous forest (15 acres) and wetland (0.3 acres). Three fields and wetland targeted for restoration in Project iRestore. Photograph shows the area prior to the start of restoration activities in 2011. Invasive plants were not only dominating the fields, but had taken over the natural wetland in field one (inset). Project iRestore is a hands-on restoration project involving removal of invasive plants, restoration of animal and plant biodiversity and long-term biomonitoring of 33 acres of prairie, forest and wetland habitats surrounding the ERC. In this project we expect native animal and plant biodiversity to increase over time. 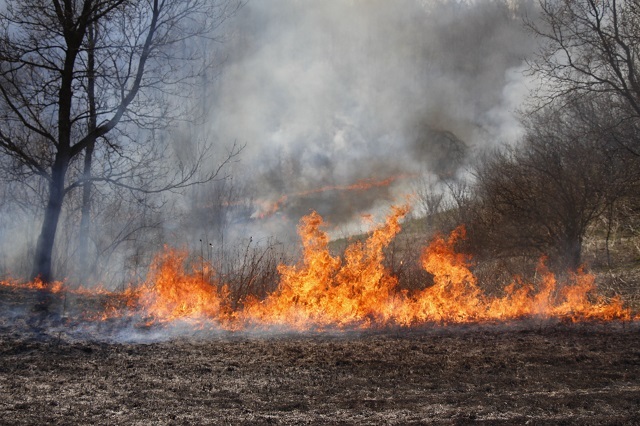 In spring 2012-2013 we conducted two controlled burns to reduce the amount of invasive plant species and allow the native prairie seed bank greater access to light and water under reduced competition from invasive plants. Controlled burn of field two in spring 2013. Note the blackened surface in the foreground, where fire has just burned off the invasive plants and excess debris, and made nutrients available (in the form of ash). Nutrients will be returned back into the soil during the first rain. Natural periodic fire is an important component of many prairie and forest ecosystems because it helps them stay healthy by removing excess debris (e.g., branches, litter layer build up), returning nutrients to the soil and limiting the spread of invasive plants. Some plants actually require the heat from fire for seeds to germinate. Fire has many ecological benefits, and trained professionals use controlled burns as a scientific tool to strengthen ecosystem health. We chose fire over alternative methods of managing invasive plants, such as herbicides, because we did not want these chemicals in the environment. In June-July 2012 we planted 15,750 flowers and 200 native tallgrass prairie seeds/square foot in fields one and two. Prairie habitat used to be fairly common in Southern Ontario but has been reduced by 99% in the province due to development and natural fire suppression. In July 2013 we planted an additional 6,500 flowers for a total of 22,250. For the first time in 50-100 years native prairie plants like butterfly milkweed, sunflowers and big blue stem are thriving during the summer. We also restored a 0.3 acre wetland that damselflies, leopard frogs, swallows, red-winged blackbirds and ducks now call home. We have planted 1,050 trees in field three to increase the amount of mixed deciduous forest in the region, consistent with the long-term habitat management plans of the Toronto and Region Conservation Authority. Biomonitoring to collect baseline data and document changes in biodiversity due to restoration began in summer 2011 and will continue through summer 2014. We measure changes in plant diversity and number of plants using 15-1m2 vegetation plots. To study changes in animal diversity we conduct summer bird point counts, survey amphibians and reptiles using 20 artificial cover boards, and sample insects using Malaise traps. Field boundaries, walking trails and biomonitoring locations have been GPSed. A York University field course based on Project iRestore runs during the summer, educating about 20 undergraduate students about watershed management and applied conservation. Preliminary results are consistent with expectation. Plant and animal diversity are increasing. 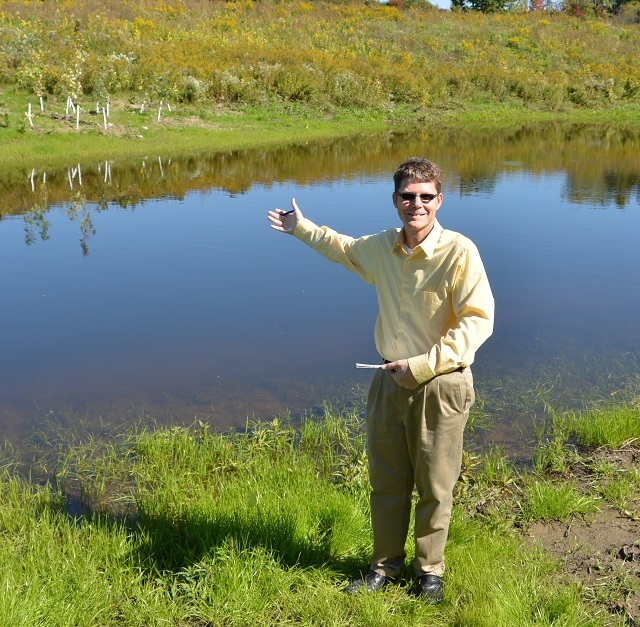 Dr. Scott inspecting our restored wetland in field one in summer 2013. Conservation is a lot of work; we have identified and counted 8,356 plants and 73,684 insects so far! Songbirds breeding in nest boxes fledge young throughout each summer. In partnership with the University of Guelph, DNA barcoding has identified 14 new insect species at the ERC. Breeding songbirds producing young from nest boxes at the ERC. 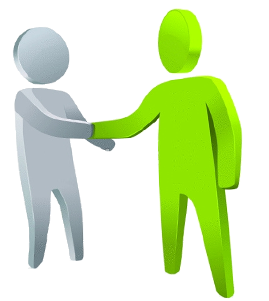 We have had support from 5,304 volunteers, including 41 undergraduate students from York University, Trent University, Brock University, and Fleming College, and one PhD student from the University of Guelph, totalling 6,849 volunteer hours. Volunteers removed 1,942 pounds of invasive plants in 2013. We could not have done this project without you! Together, Project iRestore WILL Bring Back the Wild™. To learn more about Project iRestore and check out media coverage on this exciting project please visit http://www.ercshowcase.com/sustainable-site/irestore/ and http://video.zostojsiab.com/anZSdXF5b2NOb28z.